This is the facelifted model. Wah. The face very aggressive. I prefer the pre facelift face. Edited by DACH, 09 December 2017 - 02:35 AM. looks like BM realised they are missing out on this range of the market. 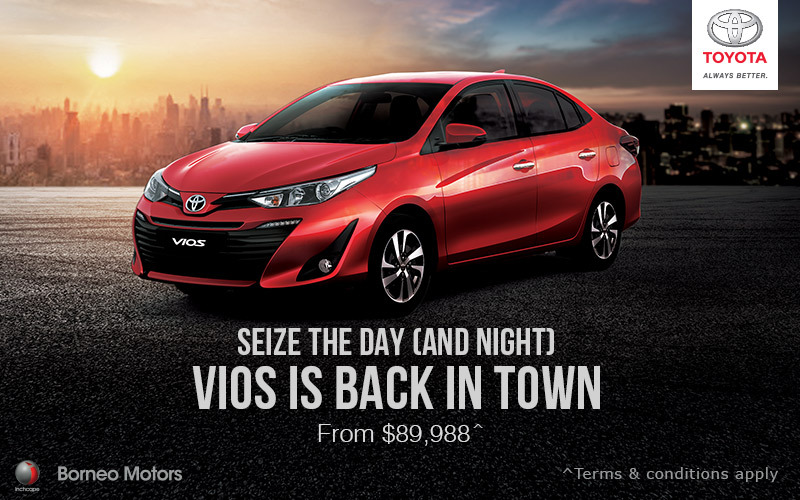 7 airbags for a vios, not too shabby. Already launched in Thailand almost a year ago. 90 k should sell pretty well. I wonder if this price is applicable to just this month registration or also for 2018 n if so does that means it’s VES is neutral? should be neutral that's why they bringing in this car. On a side note, I just went to see the Borneo price list n it seems the Altis is also neutral? It was pricing it at $10k surcharge over the last few price lists for delivery in 2018. The * terms and conditions are not in the newspaper ad. I reckon it should be for 2018 rego unless Borneo already has stock on hand and Open Cats to spare. Guess a trip down to Borneo Motors is required .... followed by lunch at .... ? Agreed. Saw it on the roads wheb out of town. 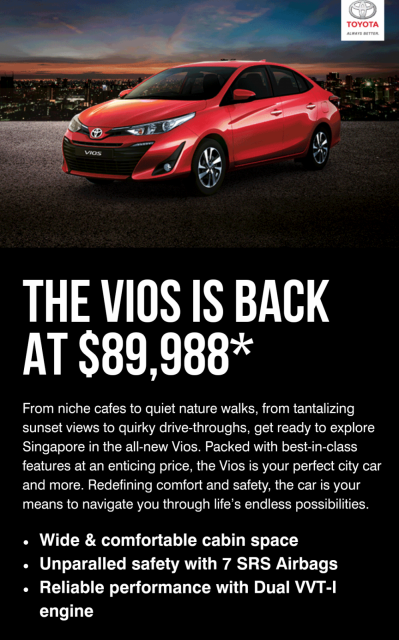 It looks like this Vios will put some strain on its own sibling, the Altis, and of course, City and Mazda 2,3! don't look that impressive to me. For this price I'll go for elantra or K3.